It's time for me to do another Walk Thru Wednesday photo tutorial for the 7 Kids weekly email. 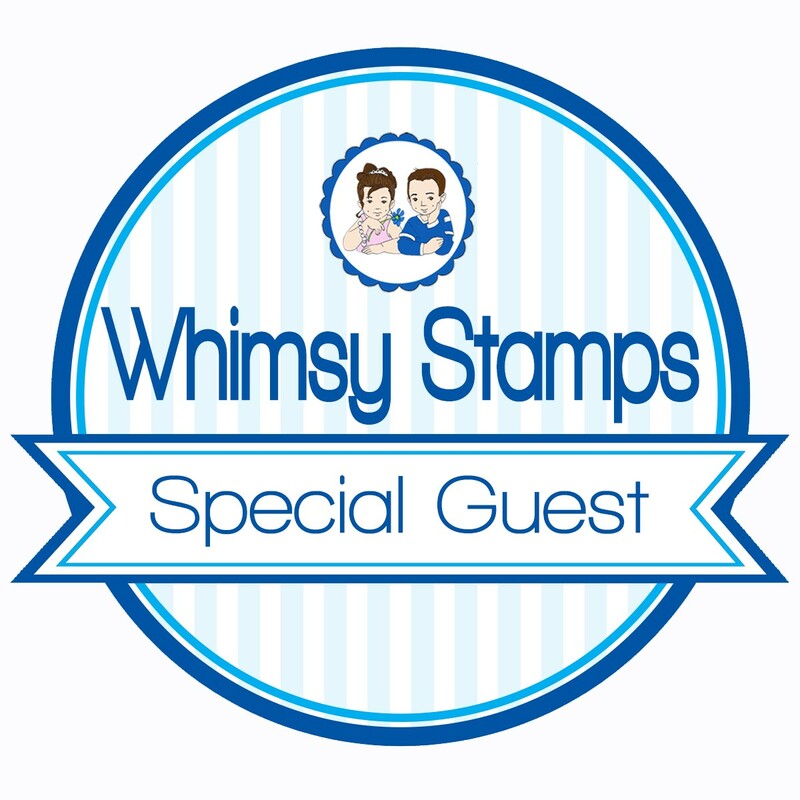 Not only do we feature quick tips and tricks for your card making but we also feature stamps from the month's current Featured Vendor. 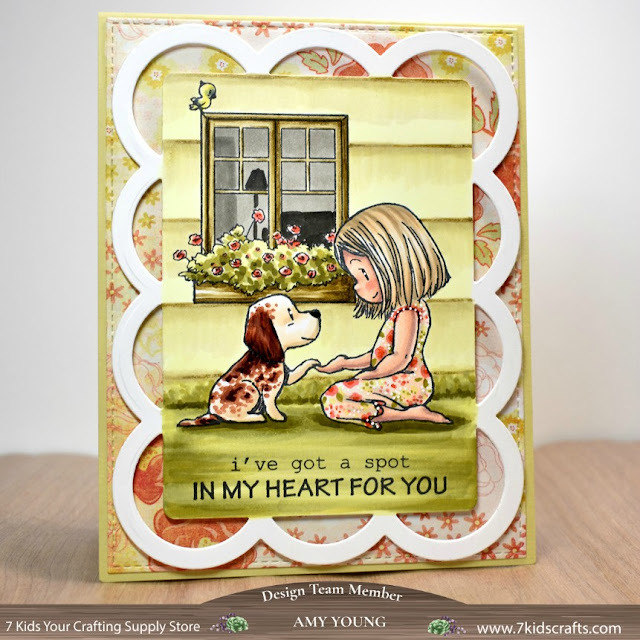 This month flowers are the featured spotlight at 7 Kids so I chose to ink up this wonderful floral set from The Greeting Farm called With Love. What I love about this set is that you get a variety of individual flowers that with some clever stamping you can merge into endless configurations. 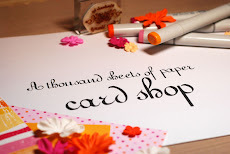 Even though it is a pretty basic technique, masking stamps is something I do on a majority of my cards and I figured that sharing a step by step of my process couldn't hurt. So I hope you get the email and can check out how I built this bouquet of pretty flowers resting in a jar. Ok, time for me to scoot my boot and get busy. Later gators! I've got a big Sweet November release coming up at the end of the week so to free up time to make cards for it, I'm going to use these next few days to get caught up with the extra TGF cards that I still need to share here on the ol' blog. This one is from this month's release featuring the It's Your Birthday set. I figured that someone as excited and happy as this cutie needed some bright, fun papers to go with her. So I found these Bella Blvd prints in my scrap bag and they were perfect! Of course all my Copic colors were pulled to match and the end result is a high energy birthday card full of happiness and smiles! Ok, time to get ready for work. See ya in 24! 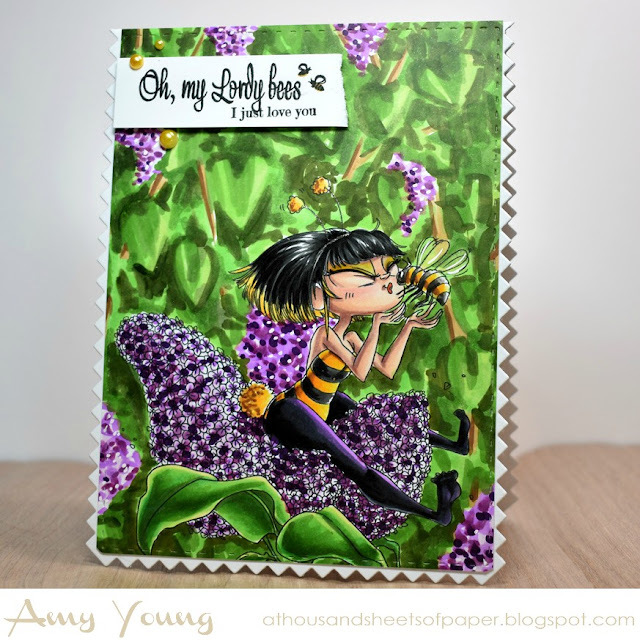 We are also introducing Bumble Kisses this month. This pretty little flower girl has found a shady lilac bush to rest in during her busy day of helping the bees pollinate the trees. And she's got nothing but love for her fuzzy little friends. Hello, and welcome to the weekend! 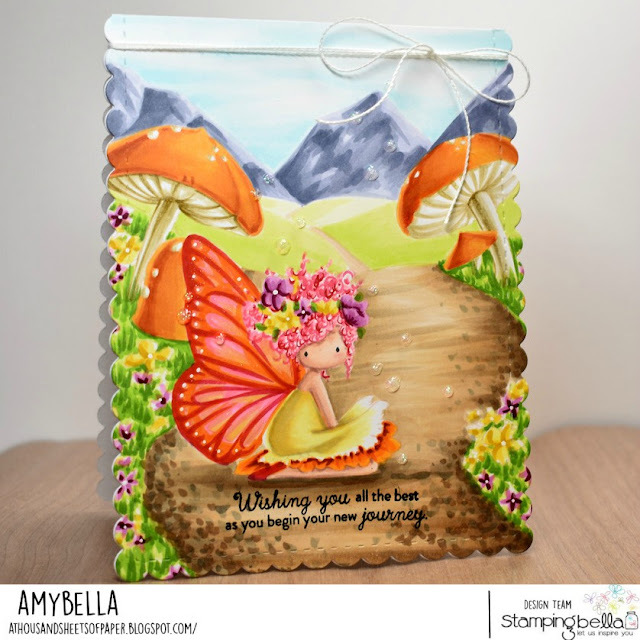 I'm back on the Stamping Bella blog today with a fairy tale inspired scene card featuring the lovely Tiny Townie Butterfly Girl Bess. It's not a secret that ever since I was a little girl I have always been in love with fairies, mermaids and the like. I was the kid reading old fairy stories and high fantasy books, dreaming of magical worlds beyond our own. That affinity for all things mystical now translates into a weakness for fairy character stamps like the Tiny Townie Butterfly Girls... I can't get enough of these beauties! I chose to ink up Bess today because I thought she would pair well with the awesome Gnome Backdrop stamp. For anyone who is wanting to try their hand at coloring in scenes for their character stamps these Backdrops give you a great jumping off point to work from, taking away the stress that a blank sheet of white paper can sometimes bring with it. By stamping everything in a light colored ink I could seamlessly transition from the Gnome Backdrop filling the center of my card into the distant hills in the background as well as the dirt path and flowers that I extended in the foreground myself. So if coloring scenic cards is on your list of creative card making techniques to try, I highly recommend checking out the various Backdrops that Stamping Bella has to offer. They are a wonderful tool to have in your belt as you set off on this leg of your creative journey. 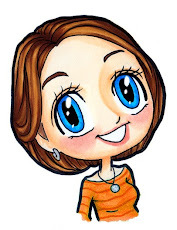 Alrighty, I've got a big weekend to get ready for so I will see you back here tomorrow! Ok, gotta run... thanks for stopping by! 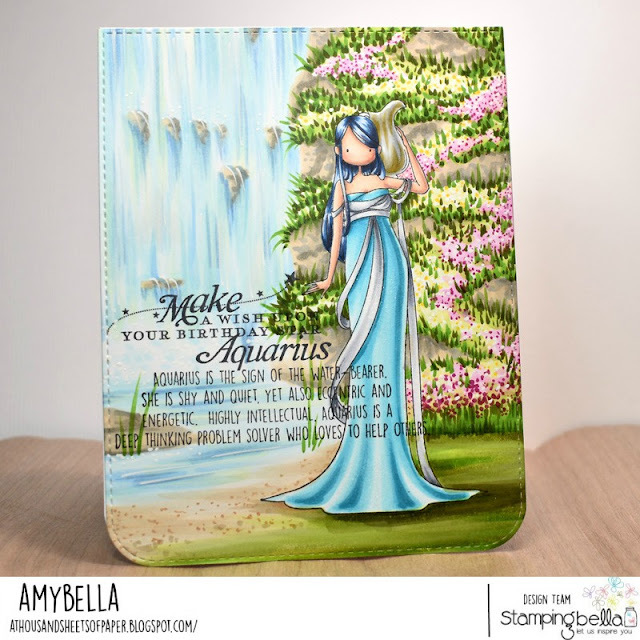 Tomorrow I will have the altered version of Aquarius to share so be sure to check back then! It’s the 15th, and the FEBRUARY RELEASE is now available for purchase in The Greeting Farm Store! Our first set, PANDA PLANS features the most adorable, chubby pandas ever. 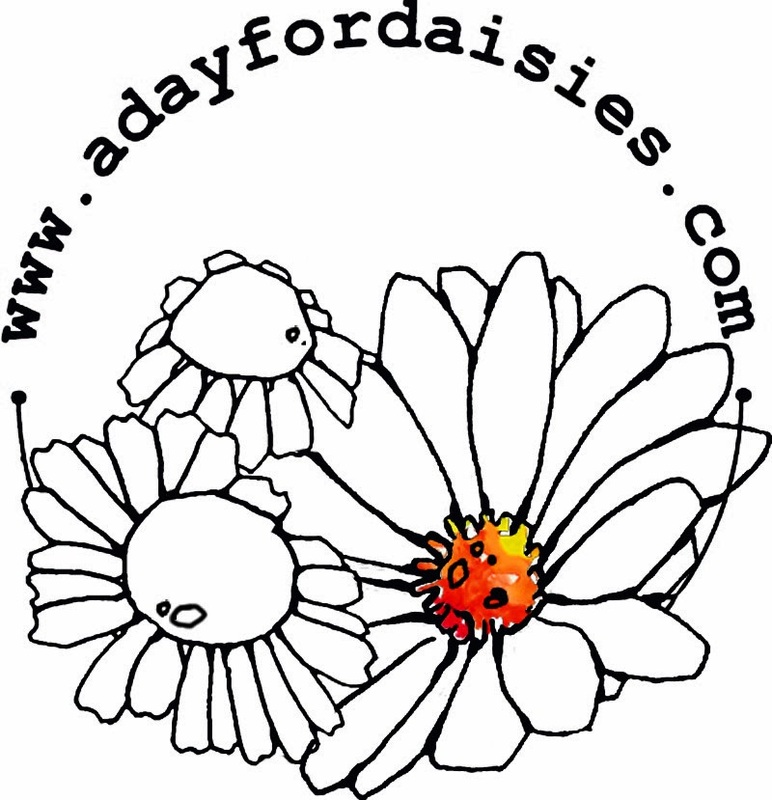 They are perfect for scene cards or for your planner pages. Next, we have I HEART YOU ANYA. She has gorgeous, flowing hair and would make the most beautiful Birthday or Mother's Day card. Our last set called IT'S YOUR BIRTHDAY showcases some adorable birthday girls along with the most delicious macarons. 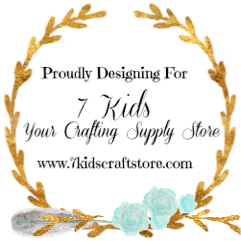 To celebrate our release, we are having a short BLOG HOP!! 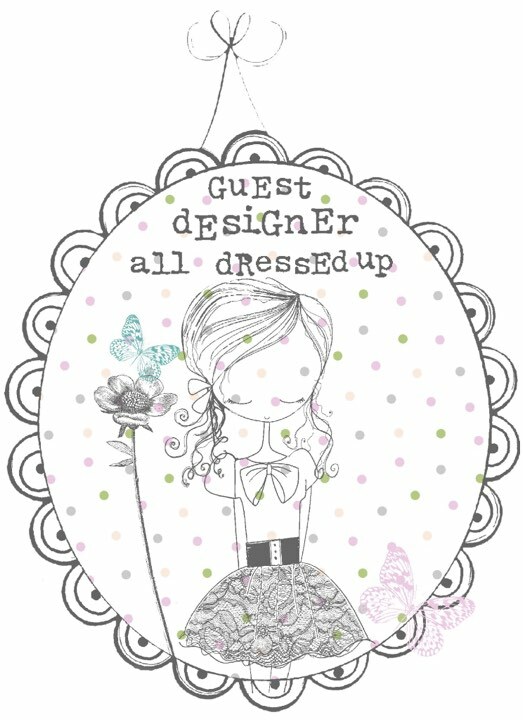 You have until FEBRUARY 18th at 12pm CST/1pm EST to leave your comments on each Designer's Blog and The Greeting Farm Blog. 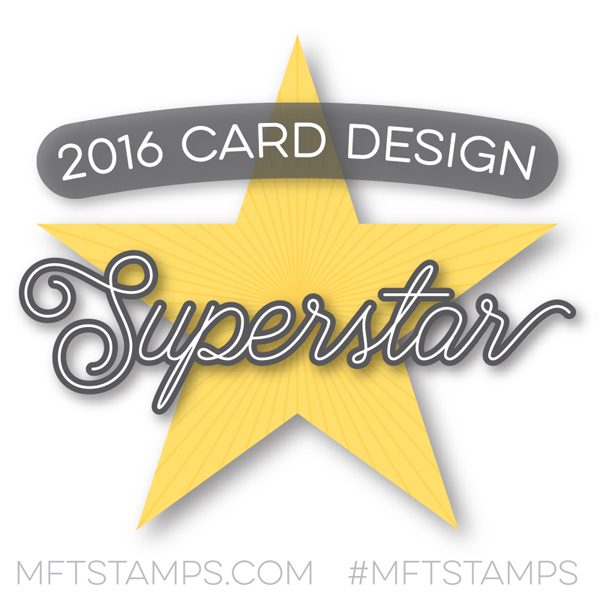 The winner will receive all 3 stamp sets! This is a short hop, and definitely worth playing along! Of course, if you can't wait for the hop to be over, you can purchase these stamps along with their coordinating dies HERE. Alrighty friends, go enjoy the hop! 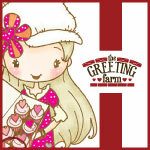 Are you ready for the third and final day of the Greeting Farm's February release previews? 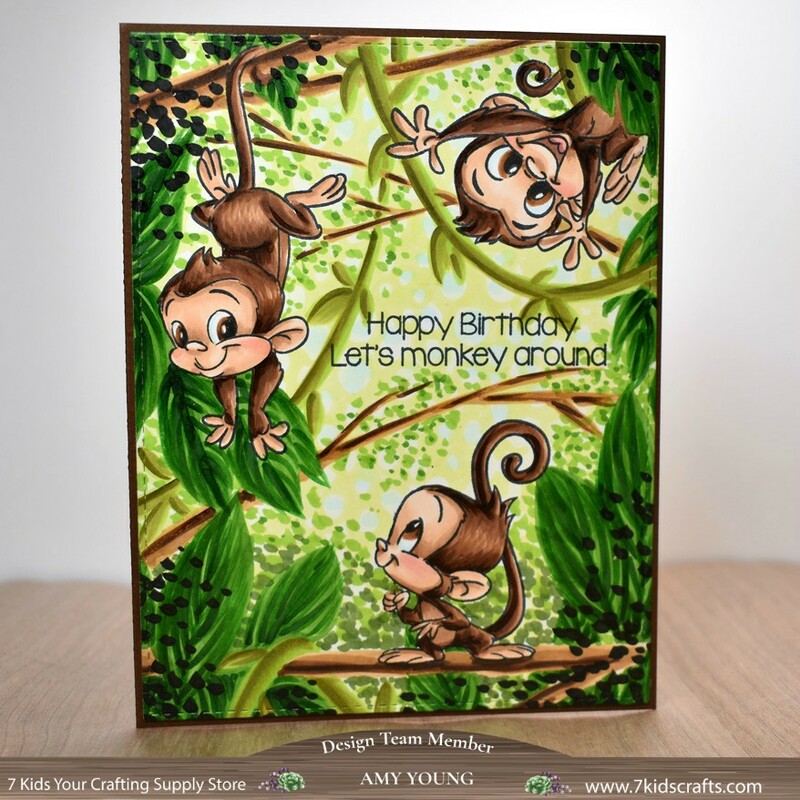 We are wrapping up previews with a fabulous new clear set called, It's Your Birthday. Not only does the set include two fun little birthday girls but it also has yummy macaroons, wrapped gifts and three beautiful scripty sentiments to choose from. I gotta say, as much as I love the entire set it's those sentiments that really put it over the top for me. It's Your Birthday will be available for purchase tomorrow, the 15th along with the other new stamp sets. For my card today I have done some masking and stamping to fill this entire tag with piles of delicious macaroons along with one of those great sentiments. I paired them up with more pretty papers from my stash and colored them in soft, vintage colors to match. Then I raided my ribbon bag and found the perfect satin bow to top it all off. 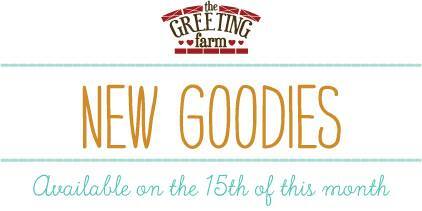 We are back for day 2 of the Greeting Farm's February release! Next up we are introducing the lovely new I Heart U Anya single which will be available for purchase on the 15th along with the other new stamp sets. 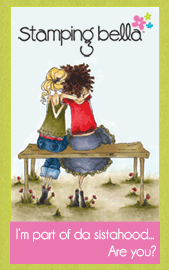 For my card today I stamped I Heart U Anya in desert sand ink for some no-line coloring. Because I had some time to actually get creative in my craft room with this one, I went through my neglected paper stash and found some pretty prints to pair with Anya. Even though I create a lot of scene cards these days, it's always fun to revisit my first love of mixing and matching papers. Plus I always enjoy the challenge of matching my Copics to my papers. Previews of the February TGF release start up this week so I'm getting another one of my cards posted from the last release. This little coffee drinking unicorn from the Unicorn Plans set was the perfect size to pair up with this fun coffee sentiment, she nestled right on top like she was always meant to rest there. The Coffee paper is from the same Echo Park collection as the sentiment stamp and I pulled all my Copic colors from it. 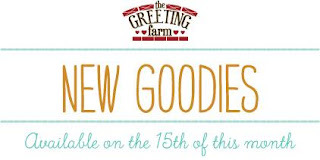 Now if you haven't seen the new big rubber set that is currently up for pre-order at The Greeting Farm go check it out. The Beans are all decked out as the zodiac characters and they are super cute!